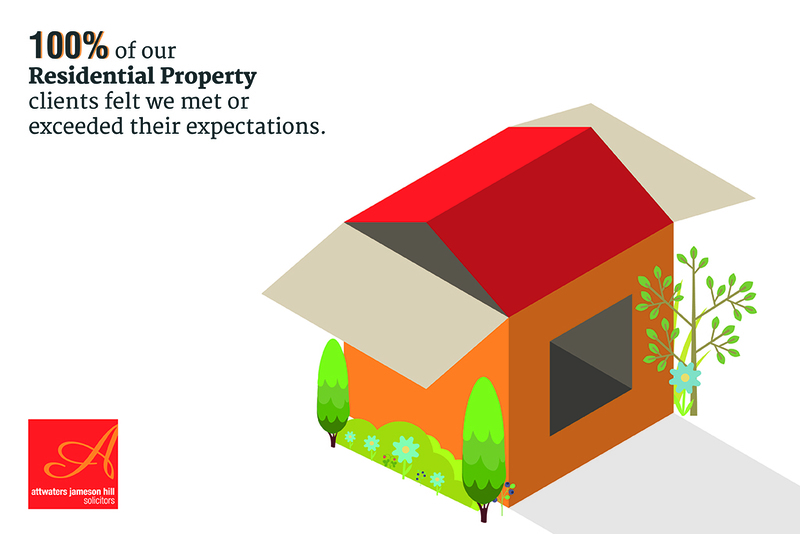 With our commitment to total client satisfaction, the Attwaters Jameson Hill Residential Property team has considerable experience in dealing with all types of residential property transactions. All our staff are skilled in delivering a highly efficient, technologically adept, personal service, the outcome of which is a stress-free experience for our property clients. Our’s is not a conveyor belt and call centre service approach! Every one of our clients is assigned a solicitor or professional conveyancer who is personally responsible for your transaction and will chase the progress of your sale or purchase, keeping in direct contact with you throughout. And rest assured, we apply the same level of professionalism whether you are buying or selling a one-bedroom town flat or a substantial rural mansion. Attwaters Jameson Hill’s Residential Property experts also advise on remortgaging, lease extensions, right to buy, title deed transfers, shared ownership issues, property auctions, equity release schemes and armed forces property initiatives. We are equally at home providing solutions for private homeowners, clients with second homes or buy-to-let properties, property investors and developers. We have a truly national capacity; successfully working with clients from all corners of the UK. Whether you’re buying or selling or both, we’ll be delighted to advise you and provide a competitive quotation. To arrange an appointment with one of our Residential Property solicitors, call us on 0330 221 8855 or contact us online.